Is there a loophole in the new strata laws? A recent decision by the NSW Civil and Administrative Tribunal has sparked concern about a potential loophole in the new strata legislation that might allow unruly lot owners to ignore NCAT orders without penalty. The new strata legislation came into force on 30 November 2016 (find out more here). 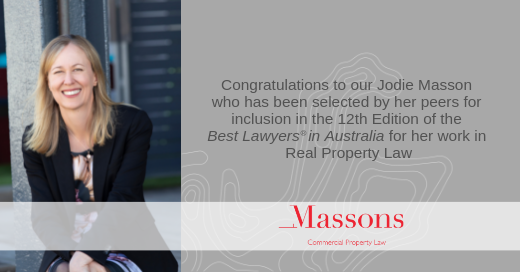 As a result, the owners corporation sought an order to impose a pecuniary penalty for contravention of the adjudicator’s order under the Strata Schemes Management Act 2015 (NSW) (SSMA 2015), or (in the alternative) under the 1996 Act. 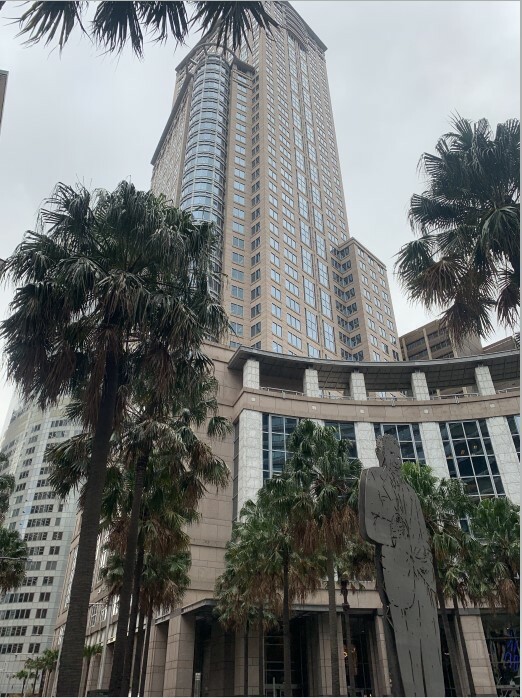 The Tribunal decided to impose the penalty under section 202 of the 1996 Act having regard to the transitional provisions in the SSMA 2015 and section 30(1) of the Interpretation Act 1987 (NSW). However, a key issue raised in the Tribunal’s decision was that the penalty amount could not be recovered under section 248 of the SSMA 2015 because the owners did not have standing as an “authorised officer” to commence proceedings under section 77 of the Civil and Administrative Tribunal Act 2013 (CATA). An authorised officer who could commence proceedings is the Minister, or a person with the appropriate written consent per section 76 of the CATA. This had led to industry-wide speculation about a potential enforcement loophole in existing legislation. Does this mean you can ignore an NCAT order to comply with a by-law? No. For breaches that have occurred (or will occur) since commencement of the SSMA 2015 there is a new regime for by-law enforcement which involves a different protocol (initiated by the owners corporation) and penalties, which are recoverable as a judgment debt. For enforcement of by-law compliance orders made prior to the commencement of the SSMA 2015, it would seem the 1996 Act provisions will operate pursuant to the transitional provisions in the SSMA 2015 (as outlined in the Anderson Decision). How does the new regime for by-law compliance work? Under the new regime, by-law enforcement is initiated by an owners corporation issuing a Notice to Comply (per section 146 of the SSMA 2015). If a person continues to breach a by-law breach after a Notice to Comply is issued, then the owners corporation may apply to NCAT (per section 147 of the SSMA 2015) to seek an order for the offending person to pay a penalty of up to $1,100. If there is a further by-law breach within 12 months after NCAT imposes an initial penalty, the owners corporation may make an application for the Tribunal to impose a further penalty of $2,200. A penalty imposed under section 147 of the SSMA 2015 may be registered and enforced as a judgment debt (see section 78 of the CATA). We understand that the new regime was intended to streamline enforcement with a view to side stepping some of the complexities (and expense) around seeking orders to initiate an enforcement process. Whether or not there are enforcement issues arising from the relatively narrow category of an “authorised officer” (per s77 of the CATA). 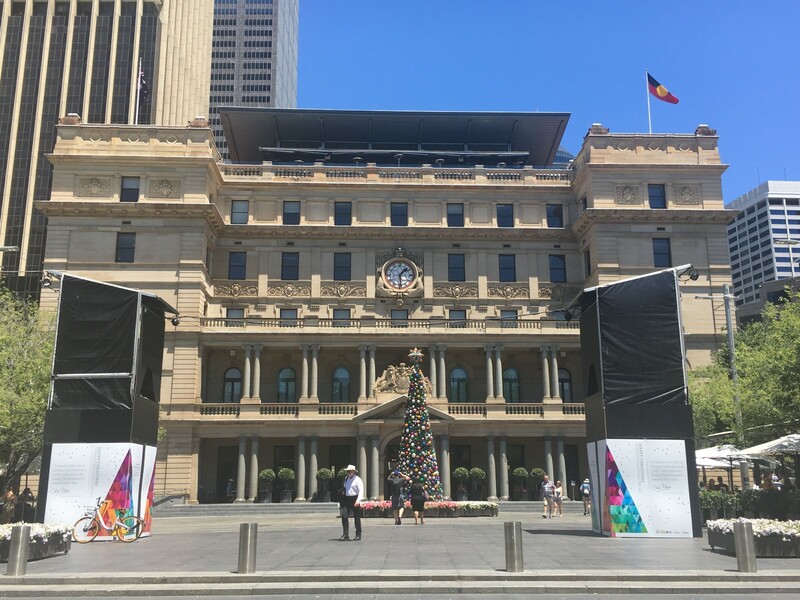 It has been reported in the media that NSW Fair Trading is considering whether statutory amendments may be warranted in 2018 in light of certain statements made in the Anderson Decision. However, it is unclear what form these amendments will take, or if any will be considered necessary. So for the moment, it’s a case of “watch this space…”, and be aware of the Anderson Decision and how it might impact you. 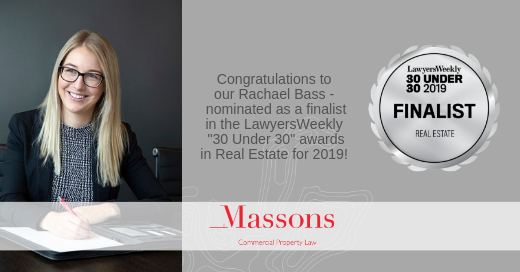 It has been a big week for Massons! 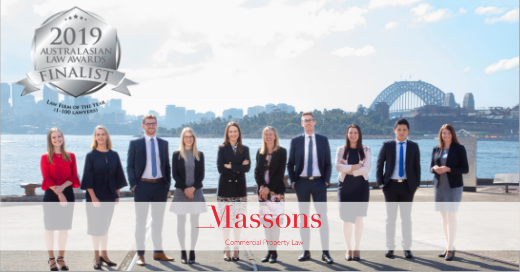 We are excited to be nominated as a finalist in the 2019 Australasian Law Awards “Law Firm of the Year (1-100 Lawyers)” category. Thank you to all of our amazing staff and valued clients for helping us to achieve this recognition.